On the last track we discussed one of Sue’s cases of a culturally different client who was Asian American. We considered this case in light of the topics discussed on the first track. We also discussed the ethical issues raised by the case. On this track we will discuss the ethical cultural perspectives of the African American. We will also discuss three important points to include in counseling culturally different clients who are African American. We will also discuss common perspectives, key aspects of African American culture, and belief systems. Obviously African American culture in the United States today has been largely shaped by the historical experiences of African Americans in this country. It goes without saying that institutions like slavery and segregation had a large impact on the development of African Americans, including their psychological development. Because this topic is so broad, rather than look closely at the effect of these specific institutions on the development of African Americans through history, we will look at how the current African American culture might impact ethical counseling. As you know there are three common perspectives regarding African American culture. 1. The first perspective is the Cultural Deficit Approach. The Cultural Deficit Approach asserts that African Americans are lacking in their educational and career achievements because of problems that exist within their culture, not because of problems within the broad American treatment of African Americans. 2. The second perspective, which is the Cultural Difference Model, stresses that differences in African American culture are not deficits. According to Simpkins, Williams, & Gunnings these differences in African American culture are instead manifestations of visible and well-delineated culture. 3. Finally the third perspective is the High- and Low-Context Model. In Hall’s High- and Low-Context Model, Low-context cultures place greater reliance on verbal communication than on nonverbal communication. These cultures also tend to be more opportunistic, more individual-oriented, and more likely to emphasize rules of procedures and laws governing interpersonal behavior. Sound like the American culture to you? However, in Hall’s High- and Low-Context Model, African American culture tends to be described as High-context. In High-context cultures like the African American culture, emphasis is placed on group identification and nonverbal aspects of communication. Which perspective do you identify with? Ethically how might that perspective influence your counseling relationship with your culturally different client who is African American? I have found that there are three key aspects of African American culture itself that also may play a part in your ability to be an effective therapist for a culturally different client who is African American. 1. First, as you probably know, is that in African American culture, nonverbal behavior is an important aspect of communication. African Americans do not always look one another in the eye in order to communicate. In addition they may not be active listeners, nodding their heads or making noises to show that they are listening. 2. A second aspect of African American culture that may influence counseling is its emphasis on humanism. Obviously African American culture is people-oriented. Service to the family and the community is viewed as a natural consequence rather than a burden. You may have noticed this in your African American clients in that they have a preference for occupations that allow them to work with people as an ends in themselves. 3. In addition to nonverbal communication and humanism, a third aspect of African American culture that might impact a counseling experience for an African American client is the African American family. As you are well aware, cultural heritage of the African American family has been the extended family kinship system. In African American families, this extended family system is often used as a supportive and therapeutic base. The counseling implications of this are that children are taught at a very early age that the family system is used for working out personal problems. Thus discussion of family matters with an outsider such as a therapist may be a violation of family ethics. If you attempt to get your African American client to open up and discuss his or her family life, you will likely run into cultural resistance. These three key aspects of nonverbal behavior, humanism, and importance of family will be illustrated further on the next track when we discuss the case of Gerald, an African American client. 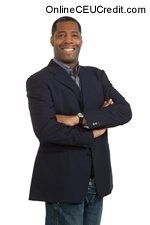 According to Derald Sue in addition to the three perspectives regarding African American culture and the three aspects of African American culture that may influence a counseling experience with an African American client, different counseling belief systems may affect the counseling experience of an African American client. 1. One belief system is the Myth of Sameness. Some therapists approach African American clients with the attitude that the color of the client’s skin doesn’t matter. These therapists may be using phrases like "We’re all alike under our skins" to avoid dealing with sensitive racial and cultural issues. Clearly statements like these are at best self-delusionary and at worst simplistic in thinking. As you are well aware, treating everyone the same is denying their humanness, individuality, and sense of cultural heritage. 2. Another belief system that may negatively affect the African American client’s counseling experience is Causation of Behavior. As you probably know, the dominant American culture emphasizes the importance of childhood experiences as the cause of behavior. However, African Americans often focus more on the system surrounding the family rather than the family itself and childhood experiences as the major cause of poor mental health. It goes without saying that African Americans are much more inclined to perceive mental health as determined by situation or environment. So how can you effectively and ethically counsel a culturally different client who is African American? I have found that there are three important points to include in counseling culturally different clients who are African American. 1. First, the African American client needs to affirm the essence of his or her "Blackness" and use that "Blackness" as a means of examining their mental health. Essentially the African American client needs self-identity. 2. Second, there must be a focus on "sociotherapy." This approach requires that you use multiple comprehensive interventions that will help your African American client realize his or her potential in the social, educational, and career spheres. 3. Third, you should be able to help your African American client develop survival behavior without having to compromise themselves. As you may know this survival behavior may deal with the maintenance of identity in the presence of the displacement of reference groups, racial hostility, and development of new goals. The methods of ethically counseling an African American client will be illustrated via the case study of Gerald on the next track. Do you currently have a culturally different client who is African American? The social work Code of Ethics states, "Social workers should understand culture and its function in human behavior and society, recognizing the strengths that exist in all cultures." How might African American cultural factors be influencing the counseling experience with this client? Have you incorporated the three important points of self-identity, sociotherapy, and survival behavior in his or her counseling? On this track we have discussed the cultural perspectives of culturally different clients who are African American and the implications of these perspectives on counseling. On the next track we will look at a specific case with an African American client named Gerald and analyze the influences impacting that counseling experience. What are three important points to incorporate in counseling a African American client? To select and enter your answer go to Ethics CEU Answer Booklet.